Okay, so this isn't an alcohol review like usual. I just want to share a couple cool pictures I took. Yes, that's a slab of homemade bacon, dry-cured and hickory smoked, by me! I did slice it later, of course, but I thought this was an amazingly drool-inducing picture. This is classic hickory, but my last couple pounds of bacon were peach wood smoked. 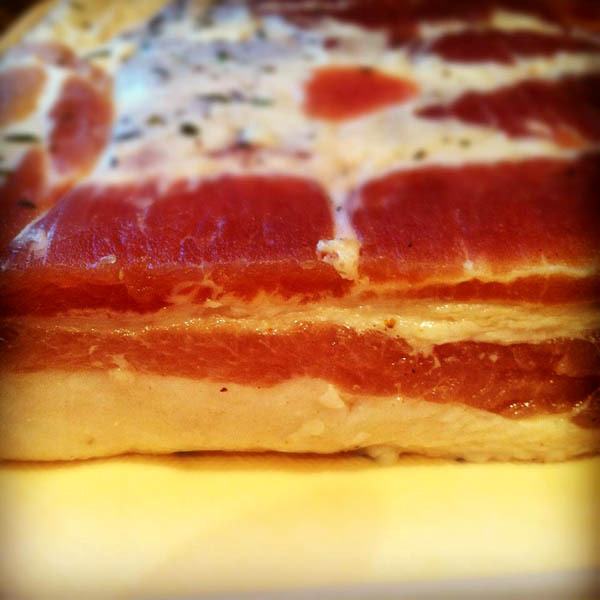 And just FYI, this was dry-cured which is the old school artisinal method, whereas most modern produced bacon is wet-cured. This lends a slightly different flavor profile and a different texture when cooked, which I happen to prefer over the mainstream store-bought bacon. The people who don't understand others' love of bacon have never tried it homemade. 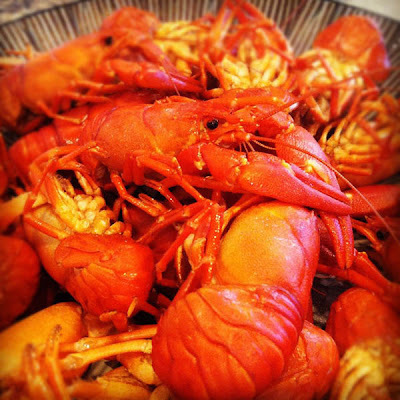 Anyway, here is a pic of some wild crawdads (aka crawfish) I caught within 15 minutes of my house, then cooked in a Cajun-style boil and served with melted butter. Kind of like lobster. More alcohol reviews on the way.